Mother’s Day…a day that instills in me feelings of angst, excitement and nostalgia: the angst in finding the perfect ways to say “I love you” to all the phenomenal moms in my life; the excitement in waiting to see what fantastic creations my own kids will come up with; and the nostalgia in recounting endless special moments with those closest to me. It’s amazing how often life as a mother changes. From the all-consuming days with a newborn (the snuggles, tiny toes and that irresistibly sweet smell of their hair – seriously, what IS that??) to life with a toddler (the first time they say “I love you”, the super-hero-hugs and that sweet little voice) to…well….I haven’t gotten that far yet. The only thing I have figured out so far is that I haven’t figured it out yet. Just when I think we are in for smooth sailing, everything changes, and most often it is without warning. But that’s the crux. The good stuff is in the nitty-gritty, the crazy days, the late nights, and in the least expected places. 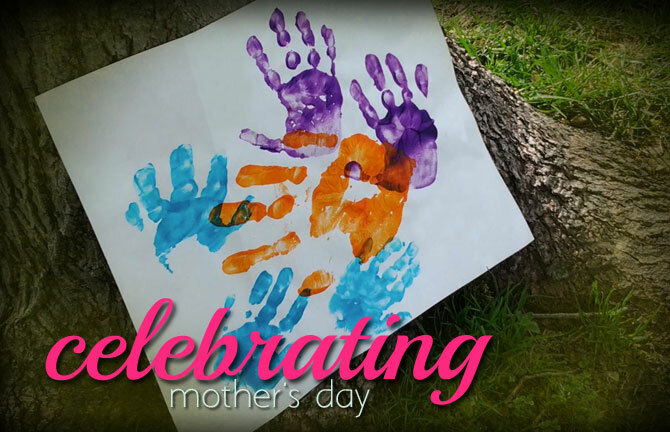 Being a mom means to be present, supportive, patient, humble and most of all – loving. Being a mom is undoubtedly experiencing love at first sight. Being a mom is learning about strengths you didn’t know you had, and dealing with fears you didn’t know existed. Being a mom is always wanting better for someone else than what you ever had. Being a mom is to experience the most precious blessing – creating a life. There is one thing I HAVE figured out: my mom has been right all these years. Go figure. I love you, mom! So back to the task at hand: finding the perfect way to say “I love you” to the moms in my life. Some of the most cherished gifts I have gotten as a mom are the things my kids have made. But I can’t lie; a nice bath soak with a good book sounds fantastic. If you’re in a pickle and can’t think of a gift for mom this year, check out our new Pinterest board with lots of great ideas! How will you celebrate the amazing women in your life? Share your ideas in the comments below!